Ships from and sold by Budget PC. 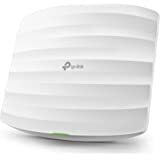 300Mbps Wireless N Outdoor Access Point, Qualcomm, 300Mbps at 2.4GHz, 802.11b/g/n, 1 10/100Mbps LAN, Passive PoE Supported, Centralized Management, Captive Portal, Multi-SSID, 5dBi External Omni Waterproof Antennas, P65-rated Dustproof/Weatherproof. Up to 300Mbps Wi-Fi with 2x2 MIMO technology, EAP110-Outdoor is just like a smartphone, with dimension: 215 × 46 × 27mm. EAP110-Outdoor can be easily installed to a pole or on a wall with the mounting kits provided. Feature in DC power adapters and power cords with passive Power over Ethernet (PoE), making outdoor deployment simple and fast. With Omada Controller software, small and medium-sized businesses can take command of hundreds of indoor and outdoor access points all from a single location. Update: This access point has continued to work well even in attic high heat conditions. I measured the temperature in the area where the device is attached and it was 140 degrees F, on the hottest days of the summer. 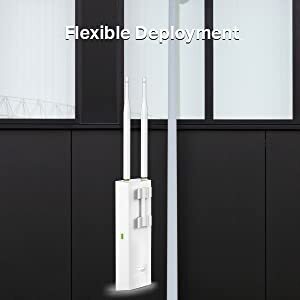 I recommend this access point instead of wifi extenders. It has a stable signal for my entire house and I get an internet connection in excess of 500 ft from the house. I still cannot give it 5 stars because of the software. If you buy this access point, be sure to search for the videos listed below before installing the software. I would have really liked to give this five stars and the only reason I did not is the software. Once the Access Point is attached to the router it works very well and I am getting up to 70 mbps at more than 300 ft away. The physical installation was very simple once the CAT5e cable was in place. 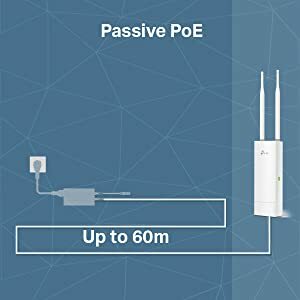 Remember this Access Point uses "Power over Ethernet". You will plug a standard Ethernet Cable in the router and then into the POE power supply. The POE power supply is plugged into a 110v outlet. Then the Ethernet Cable going to the Access point is also plugged into the POE power supply. 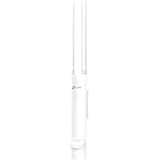 To download the software go to the TP-Link site and search for the EAP-110-outdoor page. There you will download the EAP Controller Software. 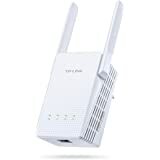 A little help on installing and configuring the Access Point is from two videos: 1) TP-Link Auranet Controller Setup Tutorial Video and 2) TP-Link Auranet Controller Unified Wireless Setting Tutorial Video. Search for those using your browser. Finally, I have installed the Access Point in my attic because the specs specify an operating temperature up to 149 degrees F. This Access Point works flawlessly at 138 degrees. I checked it using a laser point temperature detector. 5.0 out of 5 starsEasy setup and excellent coverage! 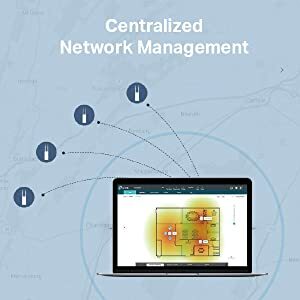 I needed outdoor wifi coverage around our patio, backyard, and garage. I mounted this unit on a short pole just above the roof line of the house, and connected with outdoor Cat5e cable and grounded per the instructions. Setup was easily accomplished by connecting to the IP address of the device. The units own browser based setup screens are easy to navigate. All I needed to do was change the default password, and select my SSID and password. Everything else was left at default. I'm very impressed with the range, good solid coverage around the entire 1 acre yard. Completely trouble-free so far. Highly recommended. In use for 3 months. 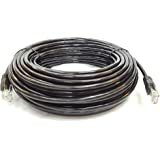 I had installed 300' of conduit from house to shop with Cat6a ethernet cable (shielded and underground rated) for internet access, but after having to replace it 3 times over a few years because from what I can assume was lightening knocking out the line I finally broke down and looked into wireless bridging. I wish I had looked into this at the start! 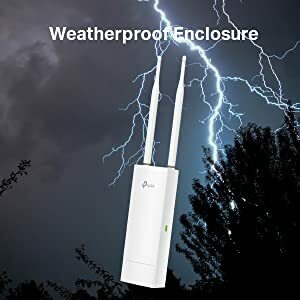 I have this mounted on the backside of the house with an additional access point mounted in the shop to pick up the signal and work as a spacial wifi system in the shop. The shop is a little less than 300ft distance from this unit with aluminum siding. 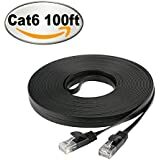 I am able to pick up a very stable signal and run video streaming and even PS4 gaming over the connection. My home internet is a rural broadband maybe 7-9mbs max, I run speed tests every so often and usually am showing 4-6mbs through the system. An extra benefit is being able to have a widespread wifi area around the yard (2.4 and 5ghz bands). Side note to new wifi home system users: PLEASE CHANGE AND UPDATE PASSWORDS FOR YOUR EQUIPMENT AND WIFI ACCESS. Do not leave your router configure settings the default password, that will make yourself vulnerable to surrounding users who could then create their own connections to your system. I bought two of these devices, and I'm not being reimbursed or paid in any way for this review. I already have a pretty capable mesh WIFI network in place at our (large) house for our phones and mobile devices. 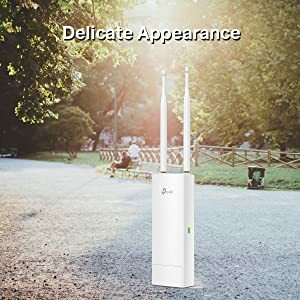 A mesh means they all have the same SSID and password, so a device connects to whichever one is strongest once you come into range. But I recently installed a bunch of IP security cameras, and about 2/3 of them are wirelessly connected to my network. I did not want that traffic on my existing wifi network, for reasons I won't go into here. But the point is that these APs were for connecting 8 security cameras, some of them outside and a fair distance from the house! I needed two because half the cameras are on one side of the house, and the rest are on the other...No AP would have worked for all of them. Anyway, these TP-Link APs worked perfectly! They've been in place for about two months now, and they've been rock solid. One is being powered using the injector, the other is powered from a POE hub in my garage, and they both work equally well. 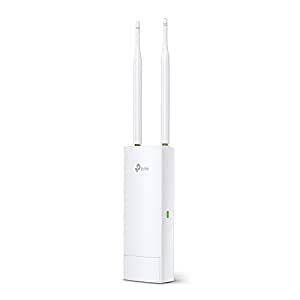 The signal strength between these and the cameras is much stronger than the older AP I used to initially connect my cameras. 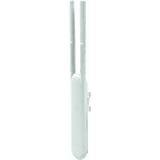 I like the long, slim shape, the ability to mount them to a mast, and the adjustable antennas. The only caveat I'd include, when recommending these APs to someone, is that you cannot combine two or more of them into a mesh! So, if you're using them for mobile devices, and you want to cover a large area (like a big house, or separate buildings) with a single SSID/Password, these aren't a good choice. I knew that before I bought them! But in my case, the IP cameras are fixed in place, and they don't need the ability to connect to more than one AP...so I didn't need that feature. But, if you have a small house, or only need to accommodate an area that can be covered with a single AP, these units are an excellent value. They provide a lot of mounting options (mast, wall, vertical or horizontal, POE makes power requirements a non-issue). 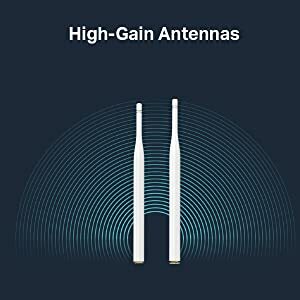 They have external antennas you can tweak for maximum performance, and they're inexpensive! I've installed a lot of APs (I've been in IT for 20 years, and have managed some pretty large networks). 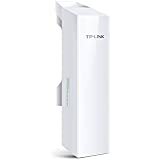 I'm impressed with these units...in fact, with ALL the TP-Link gear I've used...it performs as well as or better than equipment costing many times more. I can't say how it will hold up in the long term, but my initial impression is that it's quality gear and will continue to work well for a long time!